This combo-cleaner recognizes the type of floor surface its on and automatically switches to the appropriate mode. Robot vacuums can clear hard flooring of dust and debris, but they can’t do anything about other kinds of muck that build up on its surface. That still leaves you with the mundane chore of mopping. But Ecovacs’ Deebot OZMO 930 has rolled to the rescue with its unique ability to switch between vacuuming and mopping modes. You wouldn’t know this by looking at it. To the naked eye, the OZMO 930 looks like most other robot vacs. It measures about 14 inches across by 4 inches high at its tallest point, a circular turret that houses its infrared mapping sensors. A roller brush on the bottom does most of the heavy dirt lifting, and there’s a pair of detachable circular brushes for corner and edge cleaning. Closer inspection reveals something you won’t find on the competion: a water tank. Fill this up and attach the supplied mopping plate and microber cloth, and the OZMO 930 can switch to mopping mode when it detects hard flooring and give it a good scrub. 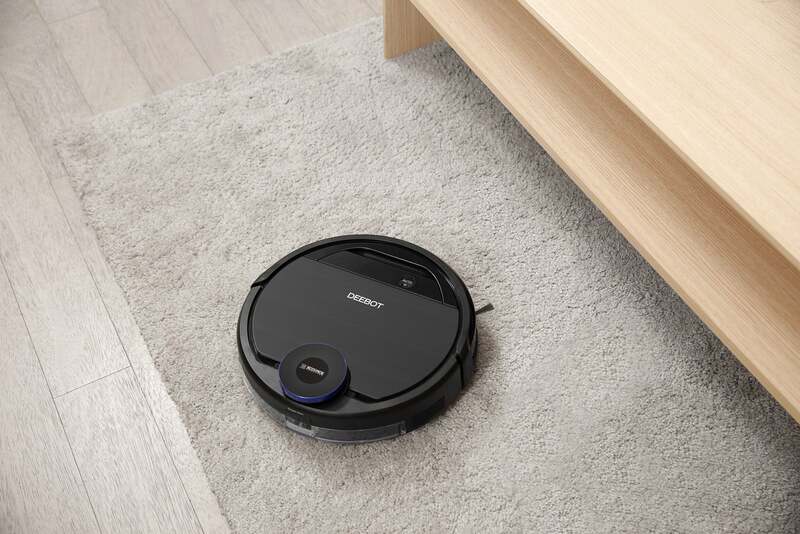 The Deebot OZMO 930 can automatically switch between vacuuming for carpets and mopping for hard floors. Before you can start cleaning, you’ll need to fully charge the OZMO 930, which takes three to four hours to give you about 110 minutes of power. Once you set the robot vacuum in its dock, a female voice tells you to turn it on. The power switch is located under a lid on the top of the vac, along with a reset button and a cleaning tool. Once you power it on, an indicator light above the lid will turn from red to blue. Once the OZMO 930 is charged, you can connect it to your Wi-Fi network using the Ecovacs companion app. I started out using the Android app, but didn’t get very far. Though it walks you through the setup, the app kept freezing, and I’d have to reset the vacuum and start the process over. After about 10 minutes of this, I gave up and downloaded the iOS app. It got me connected on the first try. You can initiate a cleaning by pressing the Auto button on top of the OZMO 930 or the in the app. The lady’s voice says “I am starting to clean” and the vacuum slowly backs itself off the charging dock. Every other robot vacuum I tested cleaned the room it was charging in first, and then worked its way out to each subsequent room. This one shot in a straight line from the dock through the living room and entryway until it got to the front door, then it made a sharp left into the guest bathroom and started there. Then it came back through the entryway, bypassing the kitchen entrance, and started work on the living room. The OZMO 930 moved in a swift straight line until it recognized or bumped into an object, then it would rotate and go in the opposite direction and continue cleaning until it encountered the next obstacle, and so on. It maneuvered around furniture extremely well, but its height kept it from getting under my couch and an easy chair. Ecovacs tells you to clear your floors of clutter before vacuuming with the OZMO 930, and you’ll definitely want to heed that advice. It’s more temperamental about things like shoes and socks laying out than the other robot vacs we tested. Power cord and other cables, in particular, gave it fits. It’s always a good idea to clear these out of the way before using a robot vac, but some models—like the Roomba 960 and the Powerbot R7065—managed to to steer clear of them. The OZMO 930, on the other hand, would roll right on top of them and dig in until they were good and tangled in its brushes; it wouldn’t stop until I paused the cleaning and freed it. The Deebot also failed to recognize some small objects—my kids’ toys, for example—that those other robots maneuvered around. Those things would likewise become ensnared in its undercarriage. Unlike with the cables, which would prompt a voice alert saying “Brush is tangled. Please clean my brush,” these objects didn’t slow the OZMO 930, it would just soldier on while making a horrible racket. Even some household debris gave it trouble. Crumbs, dust, and tracked-in dirt were no problem, but small paper scraps and larger clumps of pet hair the Roomba, Powerbot, and Eufy RoboVac sucked up without issue frequently tripped the tangled-brush alarm. At one point, I switched to Direct Suction mode, which requires you to remove the roller brush to reduce tangles. but that didn’t seem to make it easier for the Deebot to swallow some of this rubbish. The OZMO 930 is also a talkative little bot. Throughout a cleaning, it will give you voice status updates. “Cleaning paused,” “I’m am relocating,” “I am starting a new cleaning cycle,” and “I am suspended”—the robot’s cry for help when it has lost contact with the floor—are just a few of the phrases I heard during maintenance vacuuming. I liked the steady communication, because it meant I didn’t have to stay glued to my phone—although some of the alerts were also sent as push notifications—but tolerance for the OZMO 930’s chattiness may vary. To use the OZMO 930’s mopping mode, all you need do is remove its water tank and fill it up. Attach the washable microfiber cloth to its mopping plate—it adheres with Velcro—and click the the plate to the bottom of the vac beneath the tank. 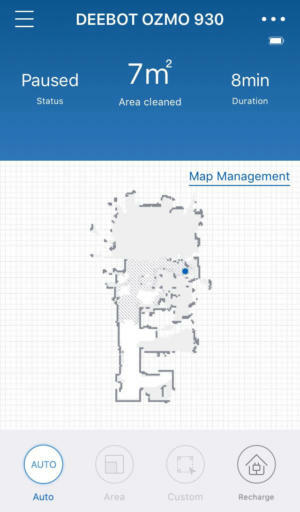 You can name rooms and set virutual barriers on the area maps the OZMO 930 creates. The vacuum knows to go into mop mode as soon as it detects water in its tank, so just put it on the floor and press the Auto button. It will vacuum the space first then damp mop and dry it. The OZMO 930 knows to avoid carpeting while it's in mop mode, so if you have hard floor abutting a rug as I do, you don’t have to worry; it will stop mopping if it strays over that boundary until it detects hard floor again. I found the damp cleaning took care of loose dirt and footprints pretty well, but anything tougher will require you to pull out a mop and bucket. 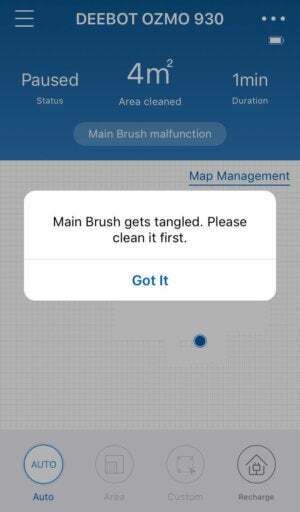 Though you can always initiate cleanings from the OZMO 930’s onboard controls, the companion app gives you much more flexibility and data. It displays the size of the area cleaned and the duration in real time, and it allows you to follow the robot’s path, displayed as a moving dot on a grid. When a cleaning is completed, you can view a map of the route it took. You can also select from three cleaning modes: In Auto mode, the OZMO 930 will clean the entire house. Area mode lets you select certain zones on the map to prioritize. Custom mode lets you target just a portion of a room. Once a map is created, you can go into the Map Management tab to name the rooms and set virtual barriers to block those you want the robot to stay out of. I liked the innovation of the OZMO 930’s vacuum/mop combo cleaning system, but it just didn’t do as good a job getting garbage off my floors as its competitors did. I also spent more time giving it hands-on assistance than I did with the other robots, which extended cleaning times. The OZMO 930 is a solid pick, but it requires considerable time preparing the room and blocking off areas to keep in running smoothly. If its mopping feature isn’t a must-have, consider the Roomba 960 or Powerbot R7065 which were less temperamental about floor clutter and cost roughly the same as the OZMO 930. 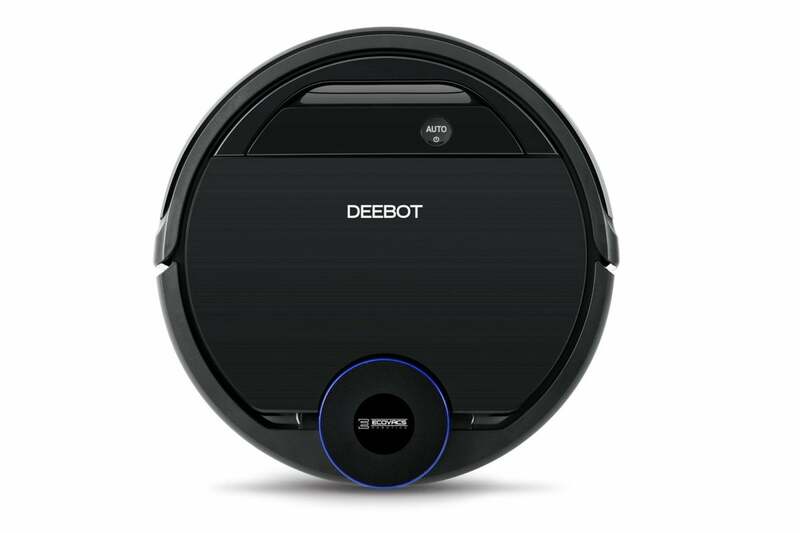 The Deebot OZMO 930's dual-cleaning is great for rooms with different floor types, but it didn't navigate obstacles as well as similarly priced robot vacuums in our tests.